Intensive intervention given to toddlers with autism as young as three years old can significantly raise IQ levels, potentially allowing them to benefit from mainstream education, new research has revealed. The results of the Southampton Childhood Autism programme (SCAmP) show that a group of children who received two years of intensive tutoring - or early intervention - had higher IQs, more advanced language and better daily living skills than similar children receiving standard educational provision. IQ increased for two thirds of the children receiving the early intervention and 'very substantially' for more than a quarter of them. For example one child moved from an IQ of 30 up to 70; another from an IQ of 72 to 115. Most of the population of the UK has an IQ of between 85 and 115. In what was a 'tough test' into whether EIBI could prove beneficial, specially trained staff and parents taught children with autism a wide range of skills in their own homes for 25 hours a week. Teaching was individualised to take full advantage of each child's abilities and focus on areas of need; each lesson was carefully broken down into easy steps and children received constant praise and other rewards for their successes. "This form of teaching can, in many cases, lead to major change and enhance the life chances of children with autism," said Professor Remington. "In practice, the positive changes we see in IQ, language and daily living skills can make a real difference to the future lives of children with autism. "But those embarking on EIBI should prepare for some hard work. Twenty five hours of home therapy a week is a big commitment for children and parents alike. Before the research began we wondered if such intensive work would increase the emotional and psychological demands of childrearing, as teaching basic skills needs a lot of dedication and patience and family organisation has to adapt to the ever-present home tutors. "In fact most parents took this in their stride. The reasons are clear. It's harder to be helpless than it is to get involved in teaching, and in most cases our parents saw rapid improvements in their children's skills and behaviour." 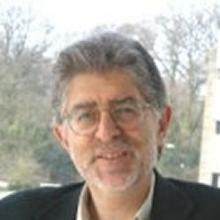 Professor Robert Remington is Emeritus Professor within Psychology at the University of Southampton. The results were announced by Geoffrey Maddrell, chairman of charity Research Autism, the UK's independent expert body into autistic therapies (interventions) at an event organised by the charity and attended by John Hutton, Secretary of State for Work and Pensions, to launch the world's first information centre for autism interventions. The research was funded by several UK charities including Research Autism, The Health Foundation and The Esmée Fairbairn Foundation. A copy of the report is available from Media Relations on request.